Plastic is the most popular material used for 3D printing and the cheapest one. We decided to make this ordinary topic a bit funnier than it really is and compared qualities of different plastic types with qualities superheroes have. We compared ABS with Superman because they both are strong, as well as popular. You might not be a comic books or DC movies fan, but you’ll still know who Superman is. The same is true in the world of 3D printing – if you are a beginner, ABS plastic will likely be the first one you get acquainted with. Also ABS is one of the most solid plastics that is hard to damage. So is Superman – you can only cause him any harm with a kryptonite stone nearby. 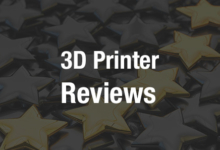 ABS is frequently used for 3D printing with FDM/FFF printers. Firstly, it is attractive because of its price – a kilo of ABS plastic costs at average about $50. That’s why it is often used by engineers and researches for printing low-cost prototypes. However, ABS also has other pros. This plastic is solid and pliable, it dissolves in acetone, and allows glueing the parts and achieving a very smooth surface. The cons are that it is produced from petroleum and isn’t recyclable. It is used in automotive, medical and souvenir industries, in the production of sports equipment, sanitary ware, bank cards, furniture, toys, etc. PLA is Batman. He is as popular as Superman, they are always compared with each other. So it is with PLA and ABS – the two most popular types of plastic for 3D printing, But, PLA is easier to break. That’s why he is Batman. Behind the Dark Knight’s mask stands a human named Bruce Wayne, who can be wounded or even killed. PLA is considered to be more environmentally friendly than ABS. Originally it was used for making recyclable food packages. In its natural form, it is transparent and liable to color. That allows it to achieve different degrees of transparency. PLA is more rigid than ABS, so it’s more difficult to use it for connecting different elements. The main flaw of PLA is that it is breakable, so shouldn’t be used for producing items that could be twisted or bent – such as phone cases. This material is the most commonly used for 3D printing miniatures. Gambody tests 90% of its designs using PLA plastic and recommends that customers 3D print with it, because PLA fits the best for making highly detailed items. Check up the results of testings at Gambody Instagram account. PVA is a unique material that significantly expands the possibilities of 3D printing while using printers with a double extruder. But, it is not really good to print something using PVA only. That’s why we decided that it is pretty much like Robin, who became irreplaceable as Batman’s partner. But who could Robin have become without Batman? Not a superhero, we suppose. Usage of PVA is limited because of its incapability of “printing by air”. That makes printing hinging elements difficult. So it’s better to use PVA plastic while working with SLS printing technology. It serves as a filler of voids supporting the layers of the plastic you work with. The ready-made model will need to be kept in water until the PVA-plastic dissolves completely. Nylon is attractive as a material for 3D printing due to its high wear resistance, availability and excellent slip coefficient. Also it is really-really strong, like the Hulk is. Printing from nylon is similar to printing from ABS plastic, but with some differences. Like ABS plastic, nylon is prone to twisting and deformation with uneven cooling, which requires the use of a heated platform. Nowadays it is used in producing bearings, living hinges and other functional parts. PET is the material plastic bottles are made of. But it also has another side – it can be used in 3D printing. Both PET and Harvey Dent have two sides. That’s why Harvey Dent, a decent man who was Gotham’s prosecutor, after he lost faith in law and order became a villain called Two-Face. PLA has the opposite story – it was ordinary. It was used in producing plastic bottles. But then 3D printing arrived and gave PET a new life. PET has many pros – but the main advantage is that it is shockproof. Also its qualities are: insolubility in water and organic solvents, resistance to acids and weak alkalis, sufficiently good resistance to high temperatures, high wear resistance and dielectricity. At the same time, PET has some interesting properties, which are considered to be disadvantages or advantages depending on the application of the material: transparency to ultraviolet, the ability to pass oxygen and carbon dioxide. In addition to the food industry, PET is used for the production of synthetic fibers, reinforcement of rubber products, production of film, magnetic tapes and computer floppy disks. Iron Man and metallic plastic. Let us guess, you know what is similar between them. But it is not only about the material’s look. Metallic plastic is solid and strong thanks to aluminum dust. And so is Tony Stark’s suit. So if you decide to 3D print an Iron Man figurine, consider using this plastic type. The suit will shine like the one the movie character wears. Metal plastic was developed specially for 3D printing. Printing from pure metal is possible nowadays, but it is quite expensive and difficult. Mixing plastic and aluminum dust became a way out of this situation. Printed from metallic plastic, items look and sparkle like they are made from real aluminum. The disadvantage is that adding metal dust makes the material more brittle. Groot looks like a tree, but he is not just a plant. He is a smart creature that is able to think and make decisions. He is thus similar to items printed from wooden plastic – they can look like they are just made of wood, but everything is much more complicated. Nowadays 3D printing from organic materials is possible. The production of wood plastic is similar to that of metallic ones – plastic is mixed with recycled wood fibres. After being extruded, this filament will look and feel like wood. Though it will retain the qualities similar as PLA and ABS plastics have.You can use it for printing everything you want to be wooden, starting from furniture up to Groot 3D miniatures. Catwoman is very graceful and she can crawl through almost everywhere. So is flexible plastic – it is rubber-like and it can be bend easily. It is a good replacement for silicone, rubber, vulcanized plastics, etc. Flexible plastic is commonly called TPE – thermoplastic elastomer. It is widely used in Europe and is especially popular among manufacturers of windows and doors, as it produces high quality seals. 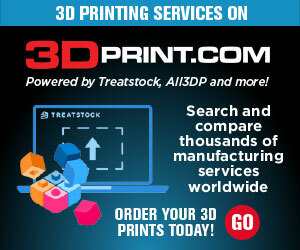 You can only use FDM printers to print from flexible plastic. You also should control the extruder of your 3D printer because this kind of material can be easily stuck in it. We think you know what we mean here. Green Lantern is a superhero who received a ring of power and joined Green Lanterns Corps. And before they come, you can see the green glow in the sky. So is the glow-in the-dark plastic. You should hold it it in the light for some time…and when you turn it off your item will glow. It can be both green and other colours (blue, red, yellow, etc) according to your taste. But such an effect is not a magic – it is just ABS or PLA base mixed with phosphorescent materials. Polycarbonate is the most transparent plastic type. That’s why we compared it with Susan Storm – the Fantastic Four team member who can become invisible. Though after printing from polycarbonate you’ll still be able to see the item you made, we think they look much like each other. package. In addition, polycarbonate is vulnerable to ultraviolet light, which eventually leads to the loss of strength. Electro is not a superhero; actually it would be right to call him a supervillain. He gained the ability to control electricity after being struck by lightning. And then he became one of Spiderman’s worst enemies. Conductive plastic also controls electricity, in a way. Conductive plastic consists of a mixture of polymer resin, carbon fiber and electrically conductive components. It can be used as an antistatic or electromagnetic shield. It has excellent mechanical strength, impact resistance, heat dissipation and high resistance to low and high temperatures. Conductive plastic has the same strength characteristics as conventional ABS. Conductive ABS plastic has increased thermal conductivity and has good impact resistance. Yurii Yefimov is the Gambody Marketplace Manager.